Throughout the ages of humanity’s development, there have always been noble souls who endeavored to help society to live in harmony by dedicating their lives to spiritual practice and to the discovery of the spiritual teachings most needed for their times. Our world home is rich with the fragrance of ancient knowledge, yet it is also clear that in this modern age we are suffering from multiple hardships that never existed in ancient times. 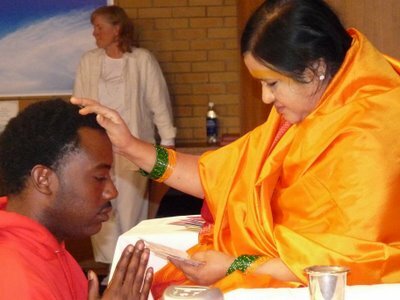 So it is that Her Holiness Amma Sri Karunamayi took on the mission to discover the most potent spiritual techonologies for this age and to dedicate her life to empowering us to heal ourselves and society through the light of Self knowledge. 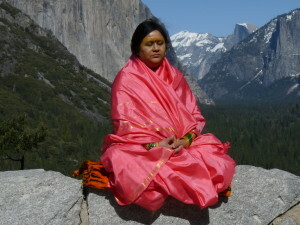 Her Holiness Amma Sri Karunamayi was born in 1958 in the South Indian state of Andhra Pradesh under several auspicious signs. Her birth was prophesized directly to her mother by the renown sage Bhagavan Ramana Maharshi, and Amma Sri Karunamayi’s birth took place on the most holy day of the year for Divine Mother, Vijayadashami, symbolizing the day of victory of Divine Mother’s battle with the forces of darkness. As Amma Sri Karunamayi says, “I was born knowing my Self.” This Self-Knowledge which Her Holiness encourages us to strive towards was evident in Amma even as a young girl. 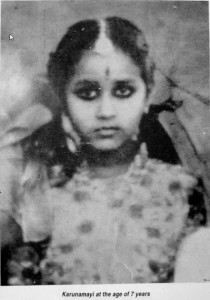 At the age of five years, Her Holiness was already teaching her father about the Vedic texts he was studying, demonstrating spontaneous and unique insight into the Sanskrit verses that amazed all scholars who came to hear of this prodigious child. At the tender age of 21, Her Holiness left the comfort of her home and entered into the deep and remote forests of south India, on a quest to discover the most relevant and needed spiritual teachings for our modern age. This auspicious time for the world saw Her Holiness waking at 2:30 in the morning, taking ablutions in a river, and entering into remote grottos for meditations that would last weeks, even months, at a time. 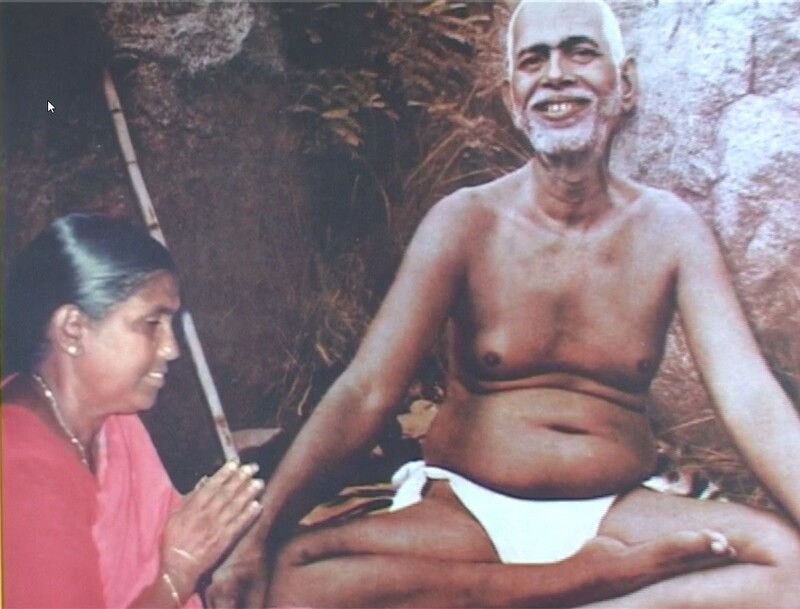 After spending more than twelve years like this engaged in austerity for the benefit of the world, Her Holiness Amma Sri Karunamayi began a mission to eliminate poverty through knowledge. Since 1994, Amma Sri Karunamayi has been travelling the world, offering several programs including sacred fire ceremonies, meditation retreats, and a very special program of individual blessings, allowing her children the opportunity to meet one on one and unburden their hearts in privacy.